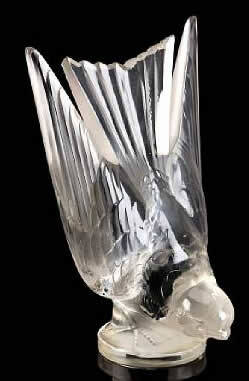 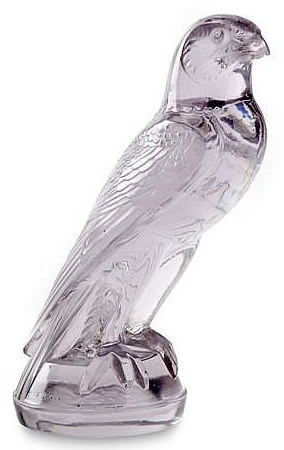 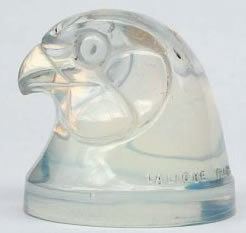 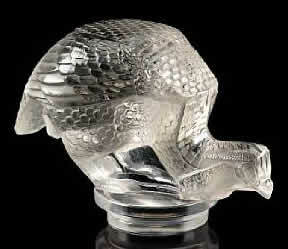 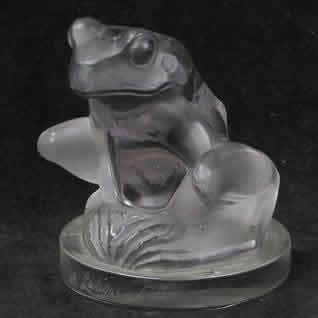 R. Lalique Car Mascots: Most mascots were sold in colorless glass. 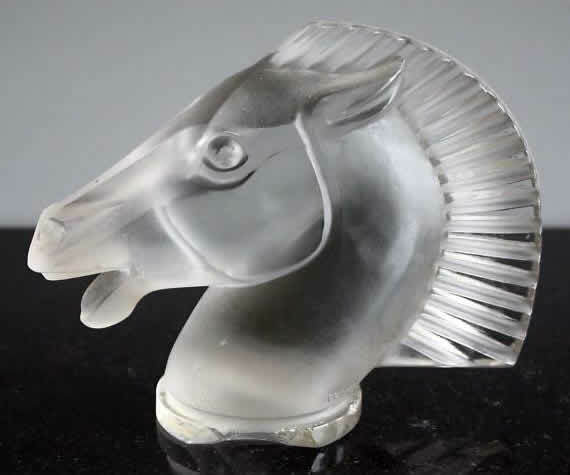 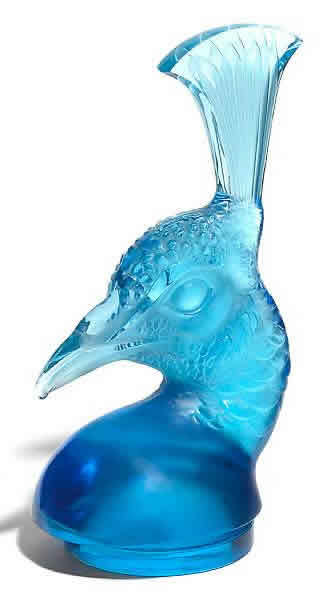 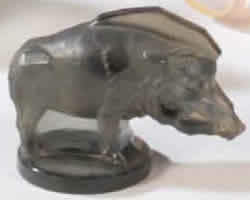 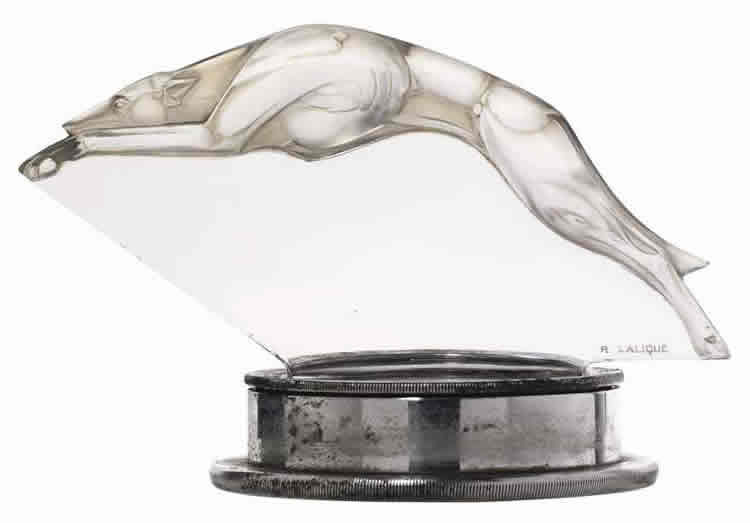 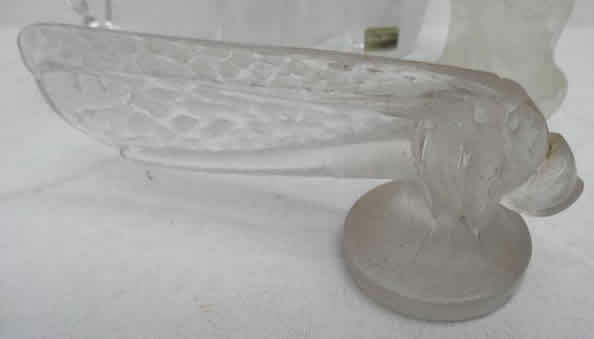 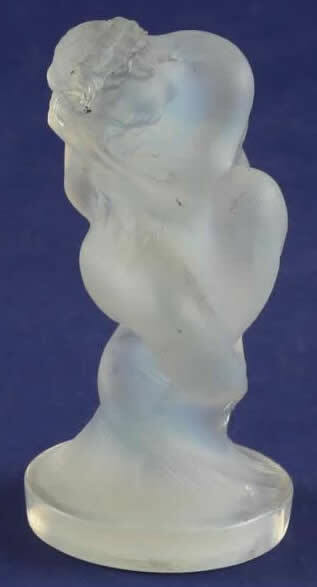 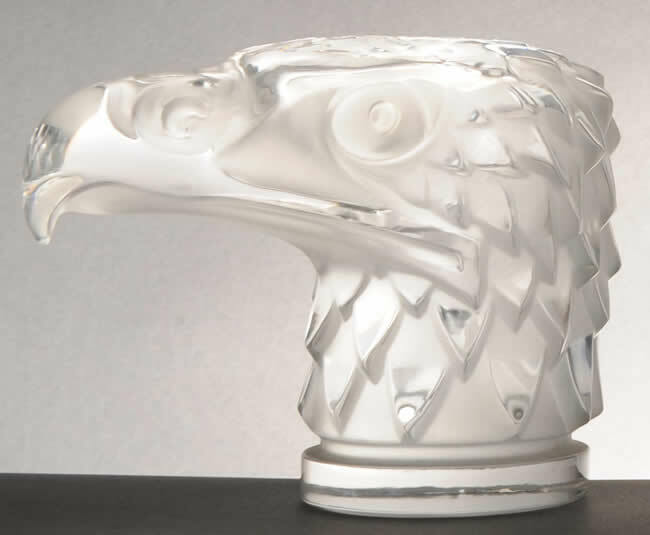 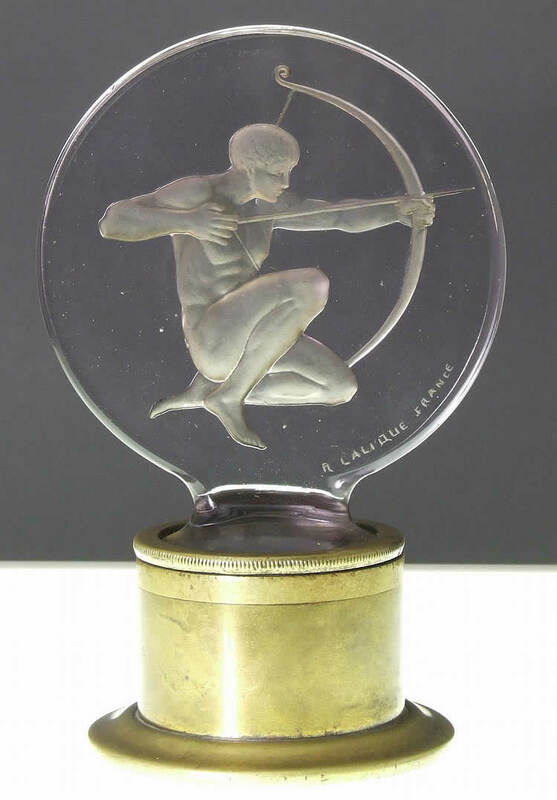 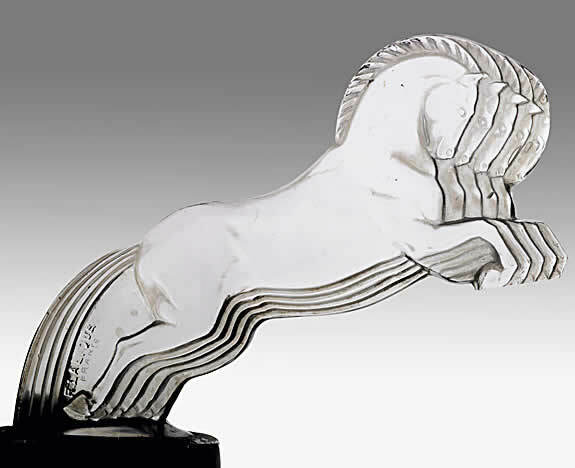 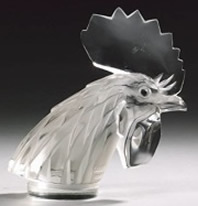 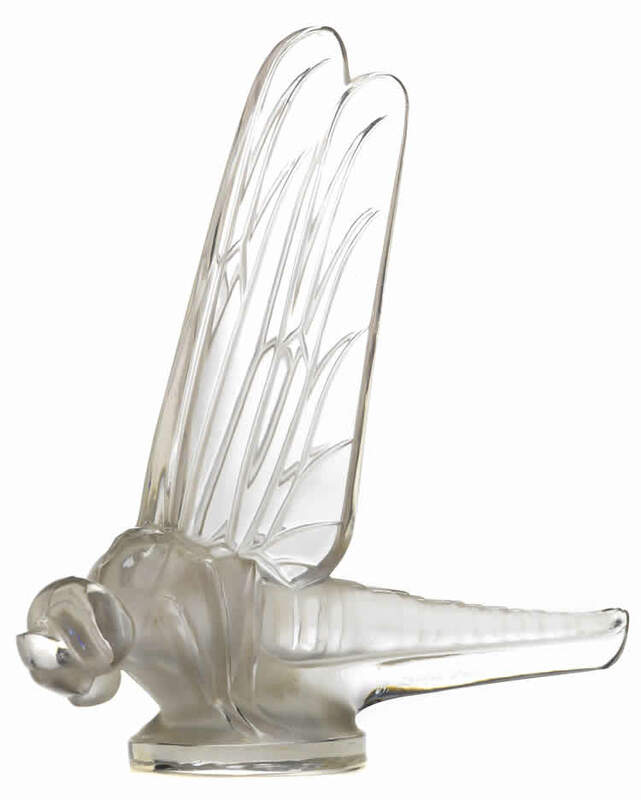 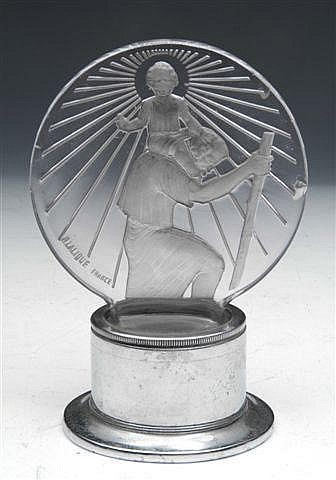 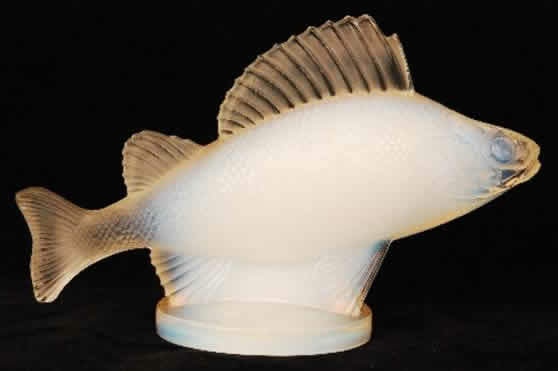 Rene Lalique et Cie did not sell mascot mounts, but their British agent Breves Galleries did commission two different size mounts that could also be illuminated. 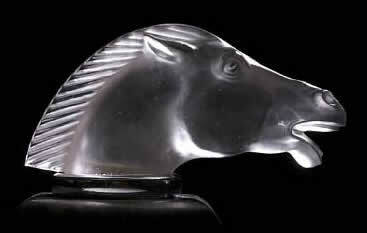 Mounts were also available from third parties. 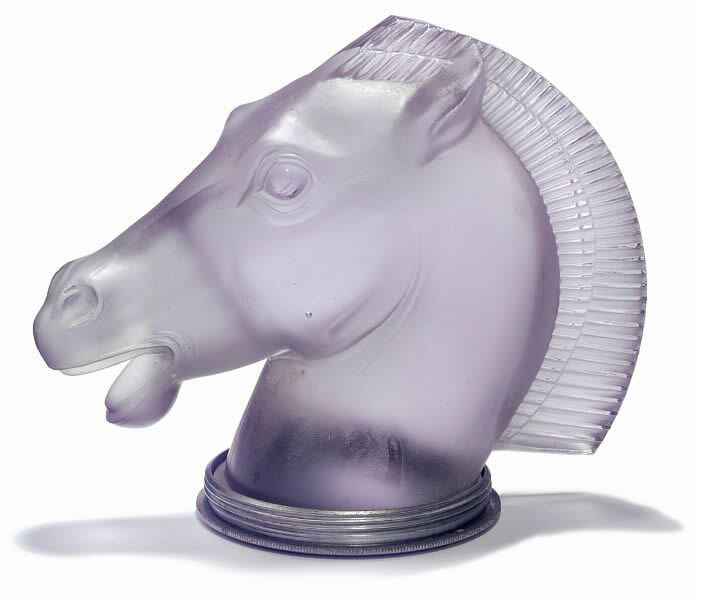 Many of these mascots were also sold mounted in rectangular black glass bases as bookends. 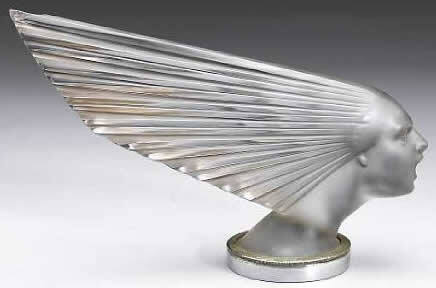 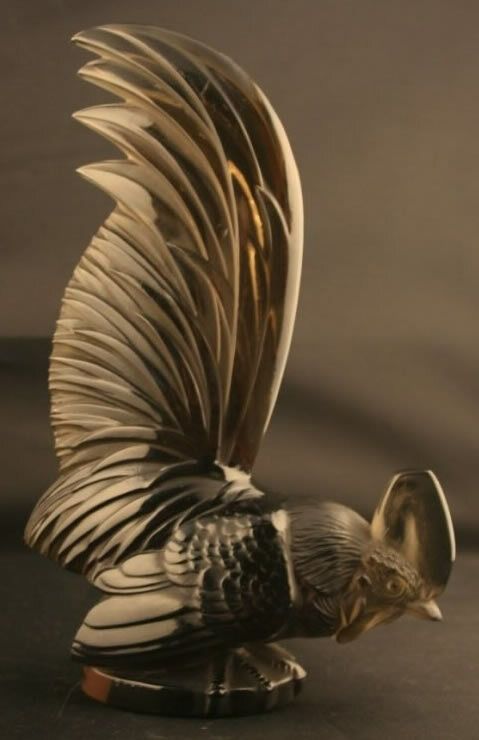 Car Mascots are also called Hood Ornaments, Figureheads, and simply Mascots. 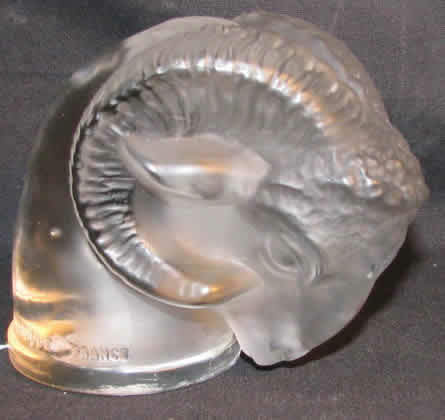 In French they are called Bouchons De Radiateur and Mascottes. 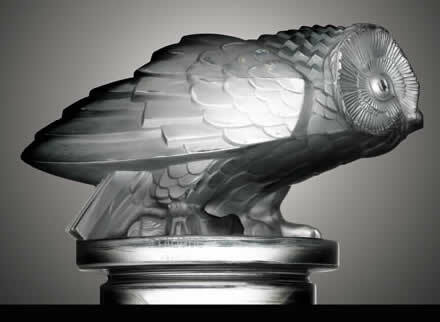 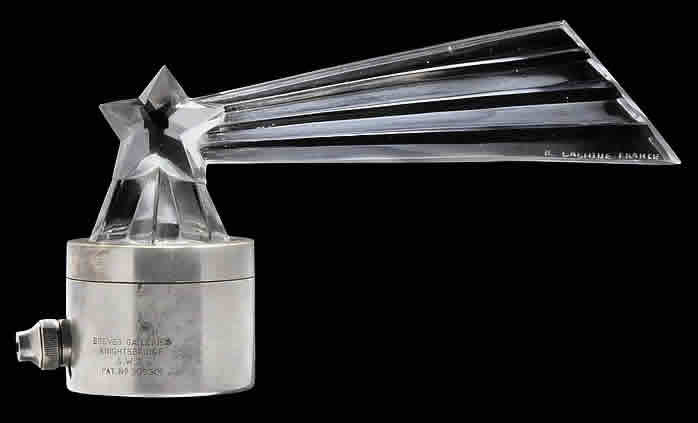 Note: If you don't see your car mascot here, check Paperweights, Statues, and Seals.